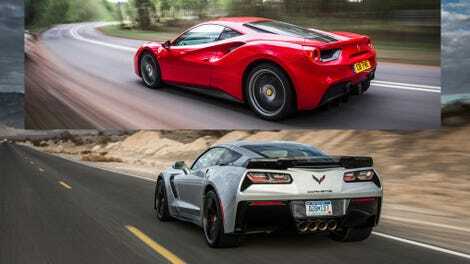 If I were given a choice to drive one for the weekend, I’d choose the Vette. If I were given the choice to own one, I’d choose the Ferrari and turn around and sell it and buy a Z06 and a Cadillac CTS-V and pocket the change. Ferrari can bite me.